Elettra and her mother Edda have a difficult relationship. There’s a lot Elettra doesn’t know about her mother, Edda won’t share anything about her past or Elettra's father. When Edda slips into a coma Elettra takes over the family bakery, but she isn’t as successful as her mother and she isn’t able to keep it up. To escape the despair, she needs a change of scenery and decides to travel to Titan Island, the place Edda apparently grew up. Will Elettra find some answers there? Elettra’s search leads her to a dilapidated convent with three female inhabitants. Widows are frowned upon on the island and the convent has offered two of them a safe place to stay. Lea is running the place, but she has trouble keeping it afloat. The women aren’t well liked on the island and have no means to make money. Lea generously offers Elettra a place to stay though. There’s a connection between the convent and Edda. Will Elettra finally find out more about her mother’s past and what’s the effect of her stay in the convent on the other inhabitants? Elettra can cook, but can she bring more than just good food? The Little Italian Bakery is a beautiful emotional story about family, secrets of the past and food. I loved the gorgeous Titan Island and the convent, it’s an interesting setting. The island is incredibly strange and not filled with kindness and happiness, but Elettra does find what she needs there and discovering more about her roots has a healing effect on her. She’s a little bit lost, because her mother had too much influence over her life and it was interesting to watch how she discovers herself. She finds her own connection with food instead of just her mother’s and her kindhearted and curious nature help her and make things difficult at the same time, a fascinating combination that leads to a terrific story. 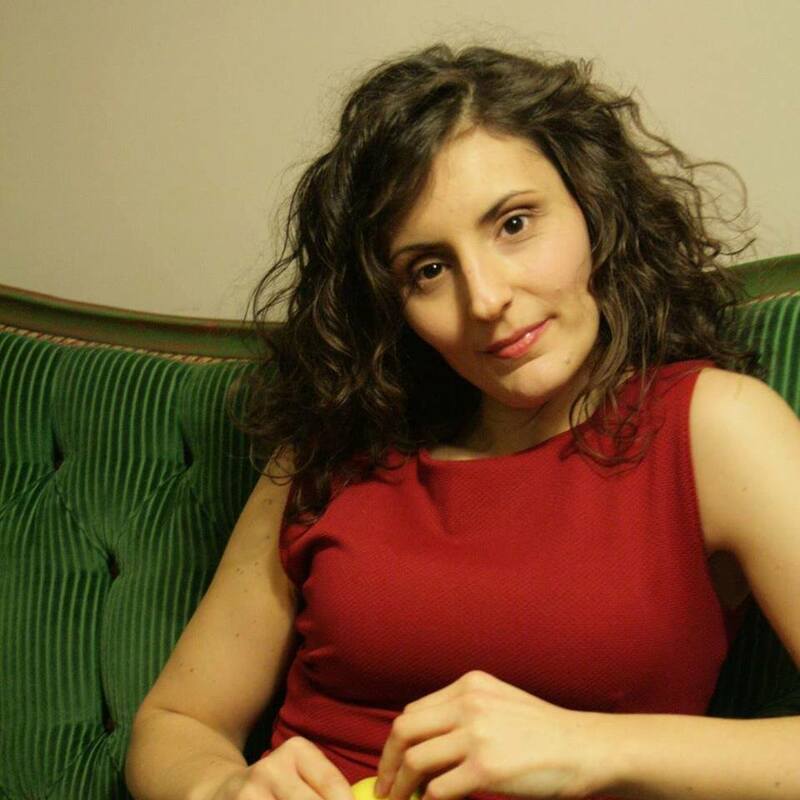 Valentina Cebeni’s descriptive writing style and relaxed pace perfectly suit The Little Italian Bakery. Island life might seem peaceful, but there's a lot going on beneath the surface. I loved how Valentina Cebeni makes her story layered, little things sometimes matter a lot and she clearly understands the complexity of the situation the convent is in and every emotion that comes with it. The relationships between the women are strained and difficult, but not hopeless and much can be gained through honesty and making sense of the past. I was incredibly curious about Edda’s secrets and the reason she kept Elettra in the dark and loved finding out more. 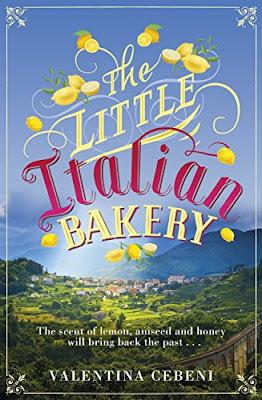 The Little Italian Bakery is an intriguing story with plenty of unexpected twists and a fantastic heartwarming ending. If you love stories about family secrets, food and love The Little Italian Bakery would be an excellent choice. Valentina Cebeni was born in Italy. She is a passionate reader with a background in the classics. Since her teenage years, Valentina has cultivated her love of writing with the discipline of a Tibetan monk, determined to explore the recesses of the human soul through her characters. She currently lives in Rome. Let’s go on a trip together and visit my top ten destinations in my homeland, Italy! We’ll start at the beginning and go to Taormina. 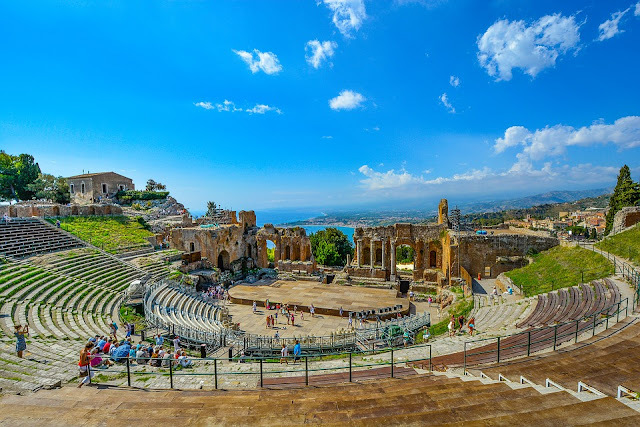 The pearl of Sicily, home to a Roman amphitheatre carved out of the rock, Taormina lies between the Ionian Sea and Mount Etna. Originally a fishing village, the town has acquired an international reputation, both as a base for British spies during the Second World War and as a holiday destination for stars including D. H. Lawrence, Truman Capote and Liz Taylor; a place redolent of the mingled scents of sea salt and history. Next we head for Lecce, the heart of the Salento region, with red earth rich in olive groves and tradition and white washed buildings where time seems to slow down. A lively, devout and mysterious city, its streets flank convents where closed orders of nuns follow centuries-old recipes as they prepare treats for tourists and locals alike. Now we move on to Matera, home of the Sassi di Matera UNESCO World Heritage Site. 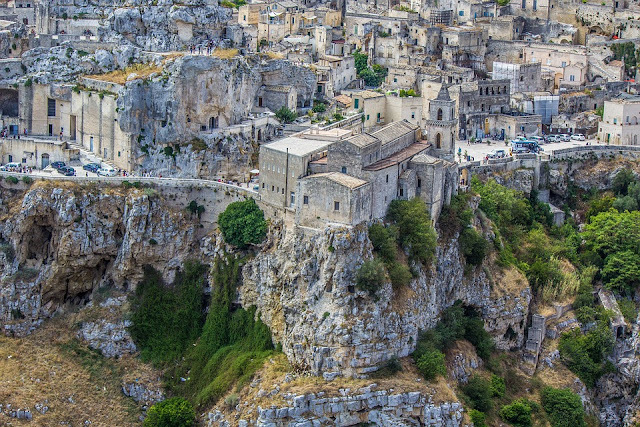 A city within a city, in the Sassi di Matera stone houses hewn out of the rock itself sit side by side with underground caves, labyrinths, churches and buildings which date back to the paleolithic age and the height of the ancient Greek era. Onwards to the Amalfi Coast, a place where the sea and the rocks embrace and the lemon groves shine like gold as they teeter above the water. A generous land of beaches and villages interspersed with villas and terraced olive groves, where you can choose between a day in the sun or immersing yourself in history, fine wines and tradition. 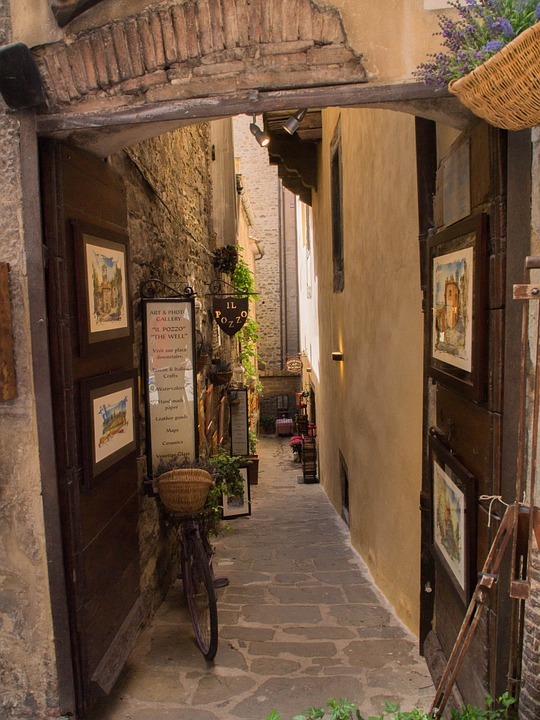 Then to Cortona, the jewel of the Val di Chiana and home to local and international artisans whose studios and workshops line the streets of the town centre. Bright colours alternate with the natural beauty peeping out from every corner making Cortona a visually stunning place to visit. We’re heading back further south to San Pantaleo on Sardinia. 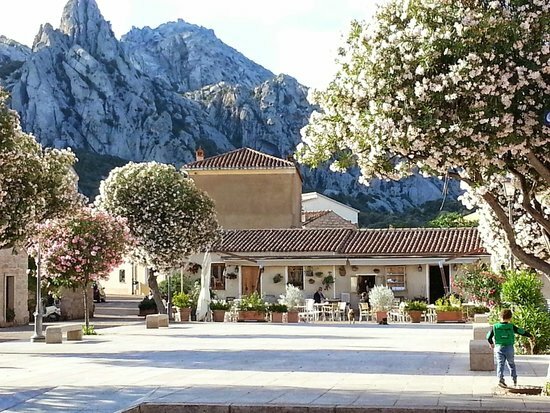 A town at the heart of the Costa Smeralda, it is protected by ancient granite cliffs which are a perfect match for the relaxed and informal atmosphere of the town populated by a group of artists who made their home there in the seventies. 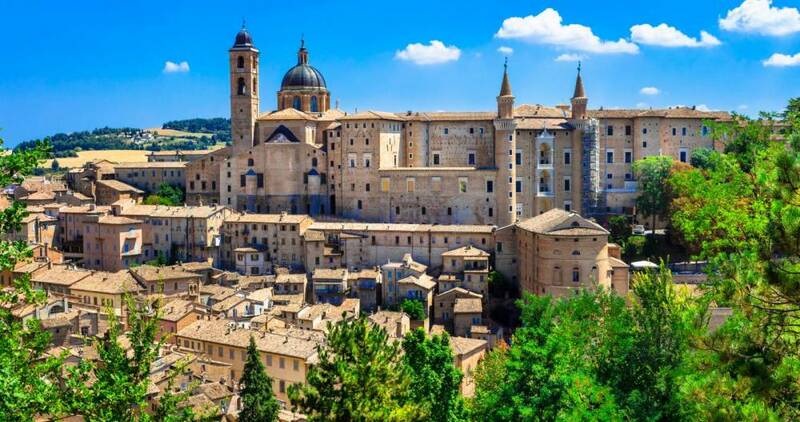 Next stop, Urbino, symbol of the Italian Renaissance and the home of the painter Raphael and the Dukes of Montefeltro, whose palace contains masterpieces by Piero della Francesca and Titian. According to legend, the eagle which sits on one of the palace’s two towers is positioned to look towards the place where the Montefeltro family treasure is buried – you never know, you could be the one to find it! Villa Balbianello, located on the Lavedo peninsula on the shores of Lake Como, is a must-see for cinema lovers, and especially Star Wars fans. Go and breathe in the magic. There is more magic in store at Merano, a city in the Alto Adige known for its thermal baths and a favourite of Empress Elisabeth of Austria. It is also known for its Art Nouveau architecture and the Middle-European atmosphere created by the surrounding Alps. Our final stop is Civita di Bagnoregi, nicknamed ‘the dying city’ due to the erosion caused by the two rivers between which it sits. 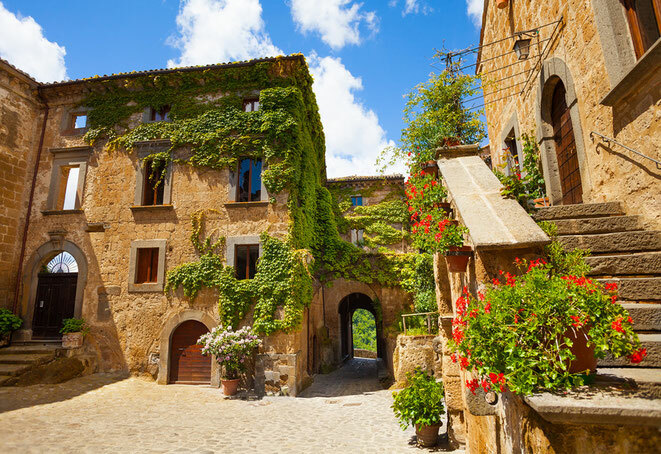 An Etruscan city in the heart of Lazio, it has been given a new lease of life by high quality tourism and the Tuscia Jazz Festival which attracts a large influx of visitors each year. A magical place. Three very lucky readers of With Love for Books will receive a paperback copy of The Little Italian Bakery by Valentina Cebeni. I love the photos.I have just added those places to my bucket list! The book sounds wonderful. 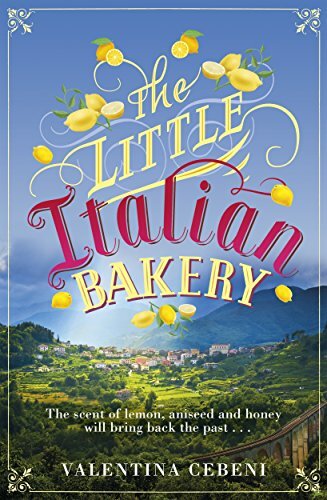 The Little Italian Bakery sounds like a heartwarming summer read about love and new beginnings. Makes me want to visit and enjoy Italy. Beautifull photos.Love to read this book! wow, those photos transport me! would love to read!! Sounds great. Love the pictures. Wish I was there! Fantastic list! Looks like a fun read! Did not know this author previously. I do so wish that I'd been to Italy, despite having lived in Europe for many years I never visited Italy where there's so much history, such a shame. "Widows are frowned upon", now that is a new idea for me, it sounds like a good read too. The book sounds great. I love the pictures. Thank you for the amazing pictures and great opportunity. The book sounds like the perfect summer read. I've been to the Amalfi Coast and really miss it!! Gorgeous photos. I'd love to visit Italy one day. What a wonderful summertime read! Thanks for sharing the lovely Italian holiday destination pictures. Love Italy, that will be a book I will enjoy. The book looks amazing i would love to read it. I love Italy! Wonderful country! Beautiful photos! Thanks for the review. Gosh, this sounds so wonderful! And gorgeous pictures! Wow! Thank you for the tour of Italy and its lovely areas! I do wonder a bit about life there. It looks so beautiful and peaceful! This sounds like a wonderful summer read! We are heading to Lucca for a week this summer, it would be perfect to read then! the book sounds amazing and I would love to visit all of the places on the top 10 list, they are most definitely on my bucket list! What a gorgeous cover. You can almost smell the lemons. Added the book to my TBR pile and Italy to my "need to see" bucket list. I adored the tour through Italy with Valentina, the photos and descriptions were fantastic, I'd love to explore these places. Thank you Valentina. 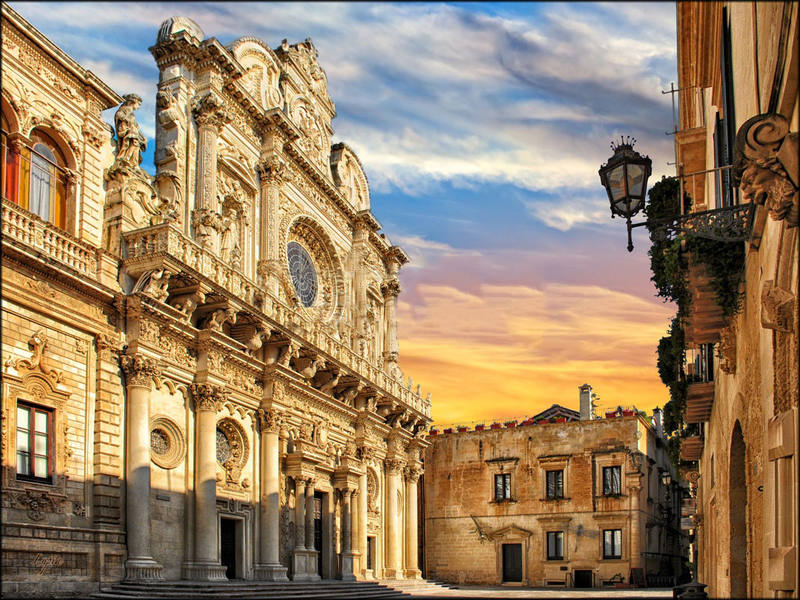 I studied Italian in school as an extra-curricular subject but I'm afraid the closest I've got to actually being there is watching episodes of Montalbano on telly ;) Thank you for sharing these wonderful scenes of your country.